The Phillies continue to receive bad news. 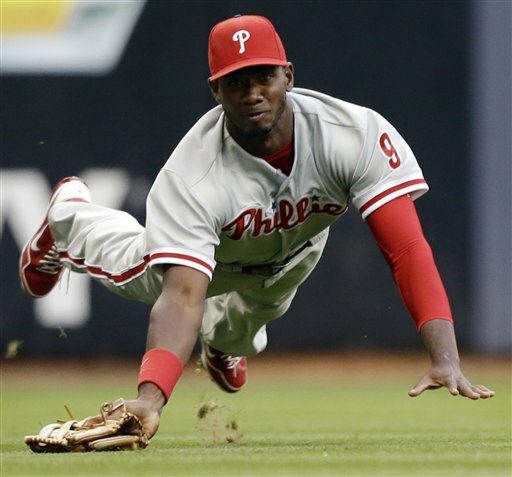 Domonic Brown is out of the lineup with concussion-like symptoms. According to Todd Zolecki of MLB.com, Brown is being tested for a concussion today, and could return Friday if the test goes well. If not, he’ll be placed on the 7-day concussion disabled list at the very least. This is just the second time that Brown is out of the lineup in 101 games this season. Brown likely suffered the injury in last night’s game after falling hard when diving for a ball. He complained of dizziness after the dive; however claims to feel much better today. This is extremely poor timing for the Phillies, who are in desperate need of a run. Now, they are without one of their best players, making a possible run tougher. If Brown is out a significant period of time, it could be safe to say that the Phillies will be sellers at the trade deadline. -Joe Savery was placed on the 15-day disabled list due to elbow stiffness. Raul Valdes was called up to take his place. -The Phillies designated catcher Humberto Quintero for assignment. Michael Martinez returns to the big club.